Congratulations to the first SHS graduate to graduate BOTH FROM COLLEGE AND FROM SMACKOVER HIGH SCHOOL IN THE SAME WEEK! 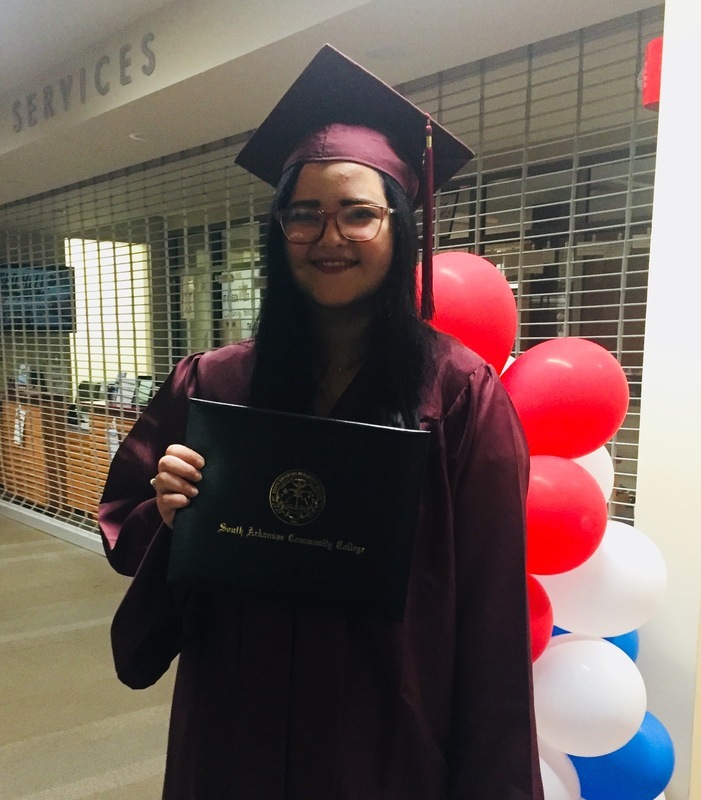 Courtney Bridges received her first year certificate from our South Arkansas Community College, and she will be one of our many seniors graduating tonight, May 14th, 2018, from Smackover High School! CONGRATS TO COURTNY BRIDGES, SHS SENIOR 2018!!! !